Windmill Harbour is a vibrant 172-acre private residential community located on Hilton Head Island adjacent to the Intracoastal Waterway. The focal point of Windmill Harbour is a 15-acre inland harbour featuring a 250-slip marina, lock system and commanding harbour front clubhouse (pictured above). The community offers beautiful vistas of the Intracoastal and saltwater marshes. 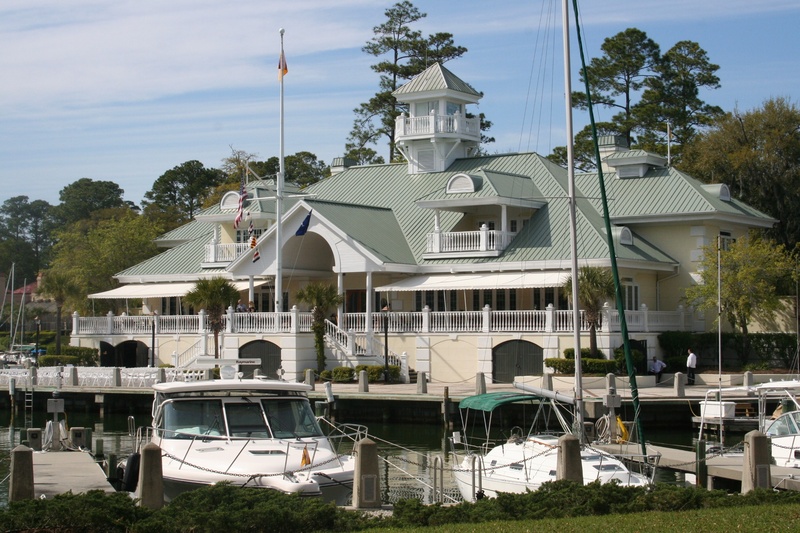 Windmill Harbour is also the home of the South Carolina Yacht Club and the Sports Center which offers seven Har-Tru tennis courts, saunas, Jacuzzi, dressing rooms, a pro shop and 25-meter swimming pool. The homes in Windmill Harbour enjoy views of the Intracoastal Waterway, marshes and, of course, Windmill Harbour's harbor. The architecture is traditional Southern so the community has the ambiance of Charleston, SC. We are specialists at finding the best home or property to suit each home buyer's proclivities. Please contact us. We're happy to help find your dream home or property to build on.